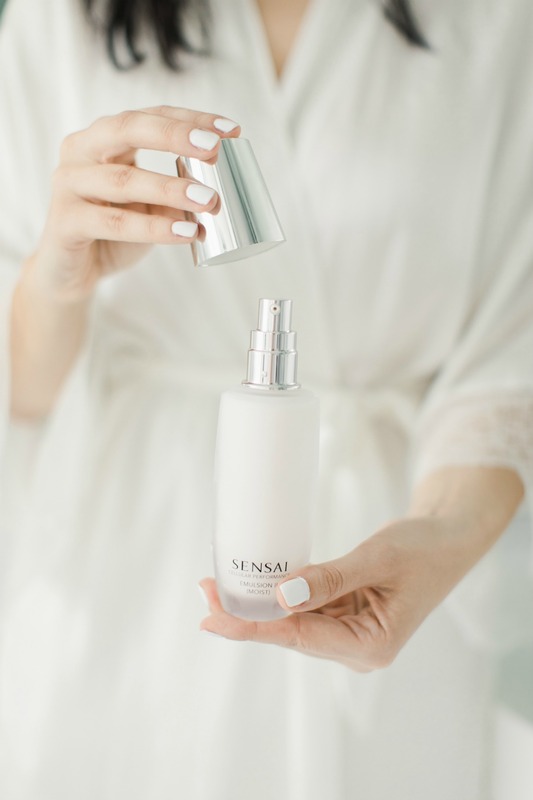 Washing your face with a gentle cleanser is how a skincare routine starts, but what about the beauty ritual known as “Double Cleansing and Double Moisturizing” from SENSAI? Is it really necessary to Double Cleanse and Double Moisturize your skin? Since I am doing this technique every day, I can tell you loudly and clearly, that this routine is very beneficial. 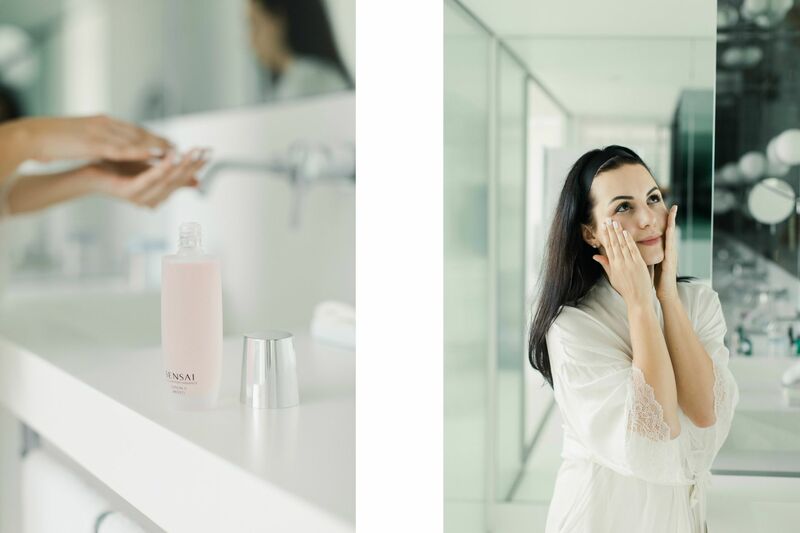 If you think your skin needs a deep cleansing and lot of moisturizing, here you can learn everything you need to know about the skincare ritual from SENSAI – called Saho. The skincare ritual Saho is a technique that is an everyday routine in Japan and inspired by the Saho code of etiquette for the Japanese tea ceremony. 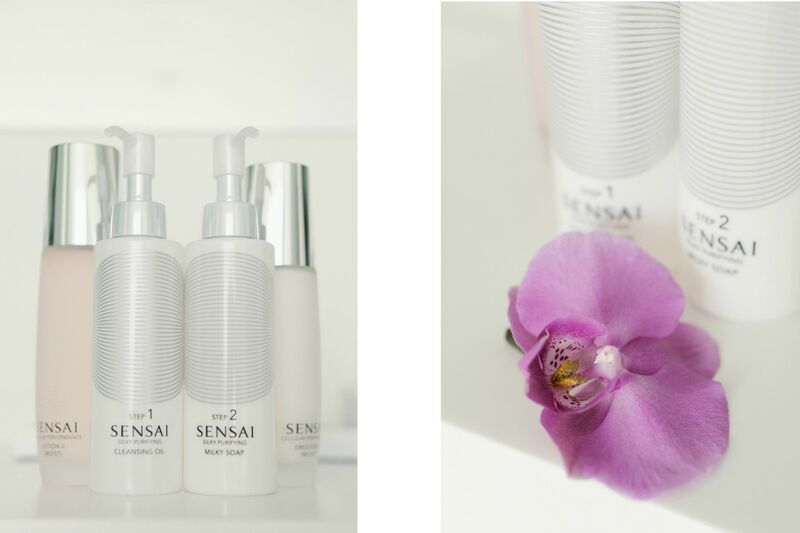 SENSAI Skincare Saho helps to achieve flawless silky skin by Double Cleansing, Double Moisturizing and Double Application. 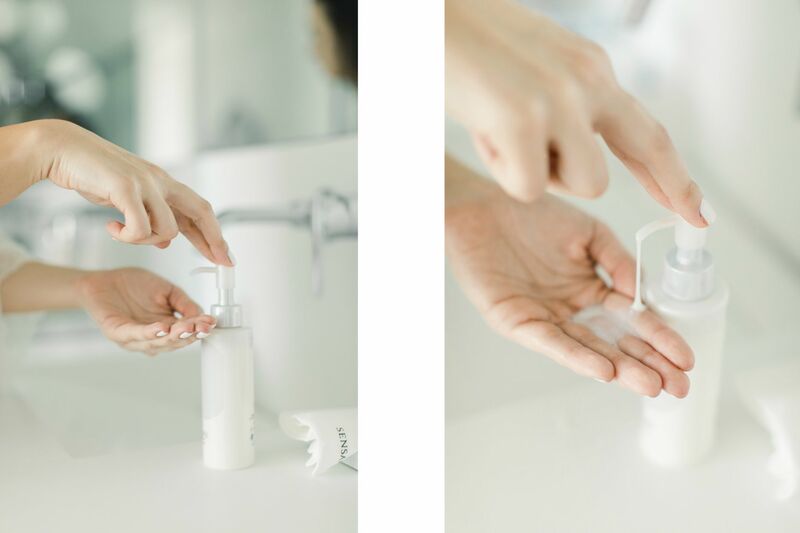 What does Double Cleansing, Double Moisturizing and Double Application mean? 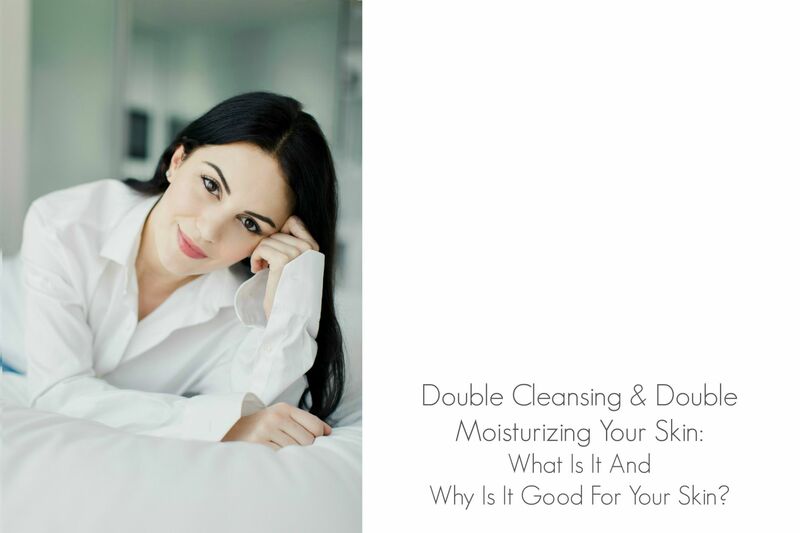 Double Cleansing involves using two different types of cleansers, Step 1 and Step 2. Step 1 is for removing oil-based impurities, such as makeup, sebum and environmental pollution. Why an oil-based cleanser? Oil cleanser adept at dissolving all types of makeup and can also help to remove tenacious sunscreen formulas. You have to use this step only in the evening as first step of cleansing. I’m using Step 1 Cleansing Oil, because it’s soft and smooth rinse-off oil that effectively removes make-up for a fresh finish. This allows the oil to mix with water and form a milky emulsion, making it easy to rinse from skin instead of leaving a greasy residue as pure oils can. 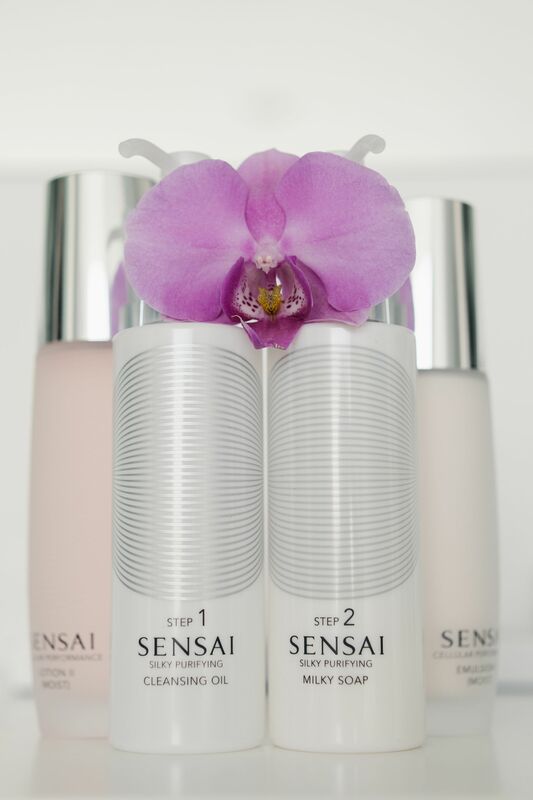 SENSAI has five Step 1 products from which you can choose your preferred texture. 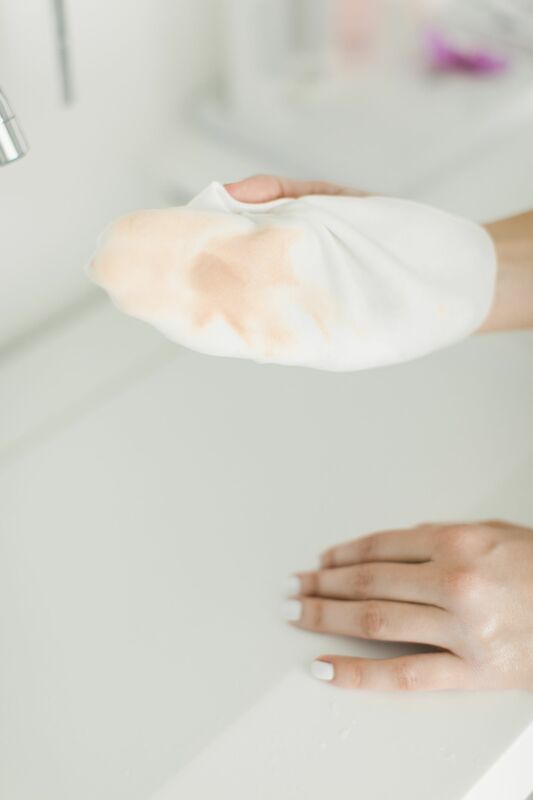 After applying the Cleansing Oil, remove the oil with a wet SENSAI Sponge Chief, that is a highly absorbent sponge cloth able to remove silky purifying formulations without damaging the skin. Alternatively, you can remove it with lukewarm water. Rinse or gently remove the cleanser with a soft, wet Sponge Chief. Here are the results of the makeup after the Step 1 Cleansing Oil. After the Step 1 of Double Cleansing comes the SENSAI Step 2. 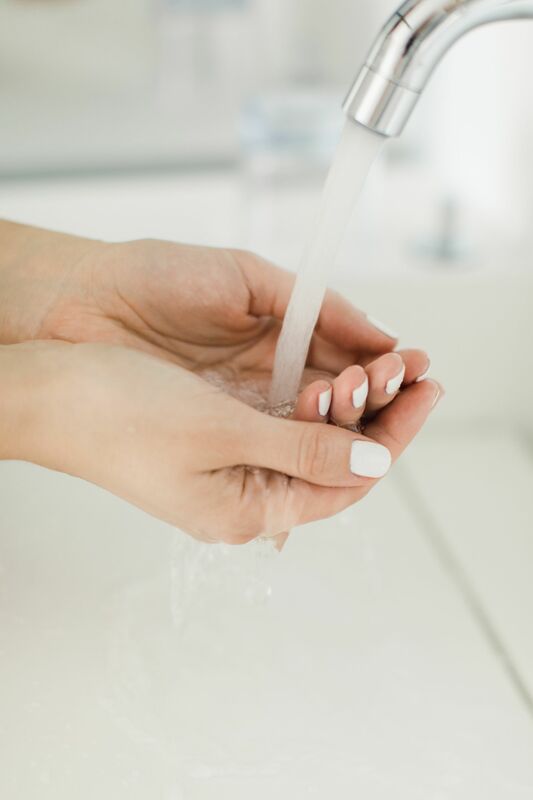 It’s a deep cleansing that removes water-based impurities, such as transpiration, bacteria and dead-skin cells to purify the complexion for a supple finish. Because of that it also helps to increase the effect of the following skincare products. Step 2 should be used in the evening after Step 1 and in the morning as a single cleansing step. I’m currently using Milky Soap. The choice of your Step 2 product (there are 4 available) depends on your skin type. For using Step 2 mix the product with a bit of water and create a gentle foam with your hands. Then massage gently onto skin. Since I’m doing the Double Cleansing, I found out that my skin is highly purified and well prepared for the upcoming skin care products. Because of the gentle textures the skin is not damaged or dried out. Now it’s time for the Double Moisturizing. 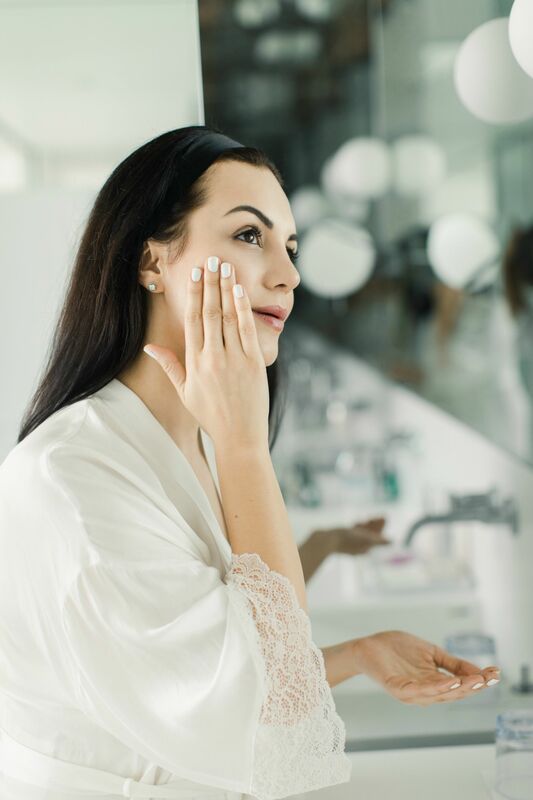 There are also two types of skincare products: the Lotion, moisturizes the skin and which makes sure that the second skincare product – the Emulsion – has a greater effect. The Emulsion has more ingredients and nutrients and wrap your skin in smooth. You can’t use the Lotion as itself, but you can use only Emulsion if you want. But I can tell you, if you ever try the real Double Moisturizing you won’t renounce it anymore. For the first step of moisturizing, I use this rich lotion – the LOTION II (Moist) from the series CELLULAR PERFORMANCE. It saturates skin with moisture leaving it supple for subsequent treatment. This lotion is for normal to dry and very dry skin. Double application of the lotion is important, while firstly massage and secondly penetrating and pressing all parts of your face with the product. Apply generously mornings and evenings, following by emulsion. This is the final and the last step for double moisturizing, and I am a huge fan of the EMULSION II (MOIST) of the same series as the Lotion. This is a rich emulsion, that nourishes the skin with nutrients to leave a supple finish. It’s for normal to dry skin. Hydration is the key to a flawless, radiant skin. Layering the EMULSION II (MOIST) helps better penetrate the skin, making it more effective. The results are instantly visible: plumper, younger-looking skin and a natural glow exuding from within. 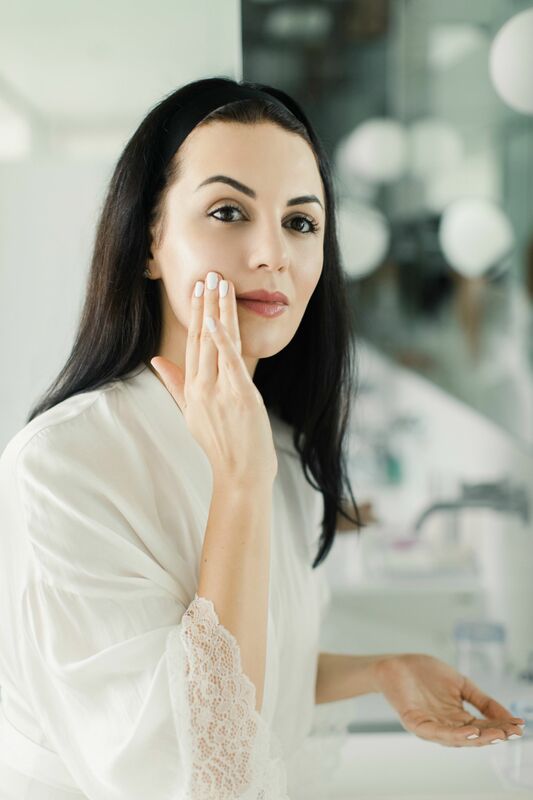 I believe in a holistic approach to skincare, which is why healthy eating and proper sleep are considered to be just as important as the use of skincare products in their daily routines. I believe food is medicine, even when it comes to the skin, and if there is any skin trouble it can be treated by skincare products as well as food. Drink lot of green tea or any kind of herbal tea, which are meant to improve health and the immune system. Not only healthy eating but a good sleep has a huge value too, and it’s during sleep that your skin cells turnover and do their hardest work at cell recovery. This is why it’s so important and the best time to cleanse and hyper-moisturize your skin and work on a tired complexion.